Preheat oven to 180ºC (355ºF). Place the breadcrumbs and half the butter in a bowl and toss to combine. Place on a baking tray and roast for 10–12 minutes or until golden and crunchy. 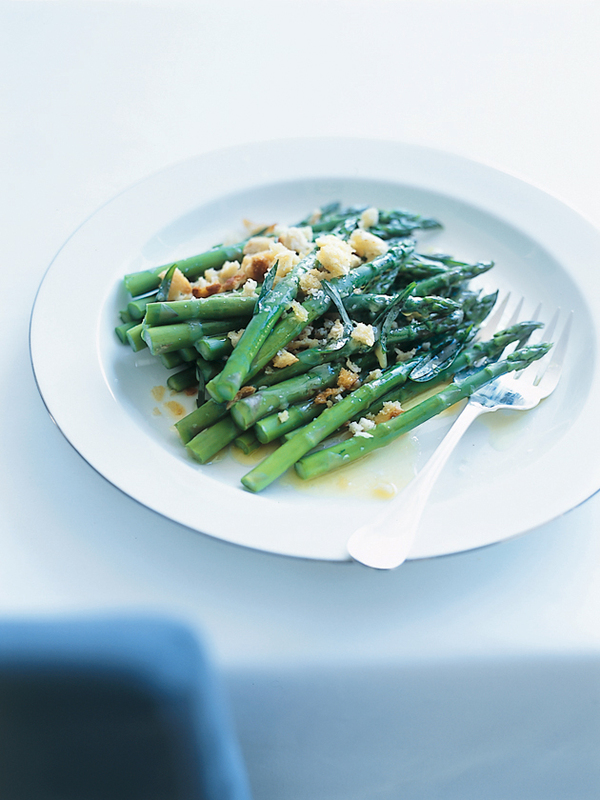 Place the asparagus, breadcrumbs, tarragon, remaining butter, salt and pepper in a bowl and toss to combine. Serves 12.